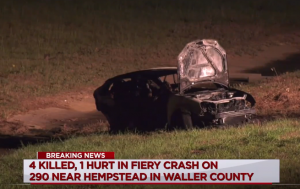 Four people occupying a Volkswagen car were killed in a terrible automobile accident this morning on US 290 in Waller County. Channel 13 interviewed a DPS spokesman who explained that the Volkswagen was rear-ended by a speeding Chevy Impala sedan. 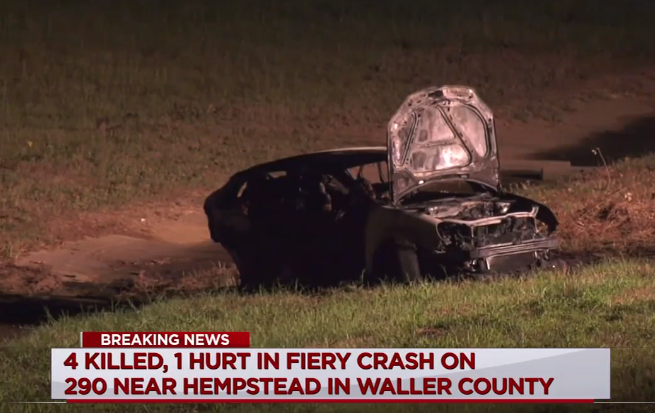 That impact forced the Volkswagen off the roadway at which time the car caught fire. Firefighters did not discover the bodies of the victims inside the Volkswagen until they had extinguished the flames. 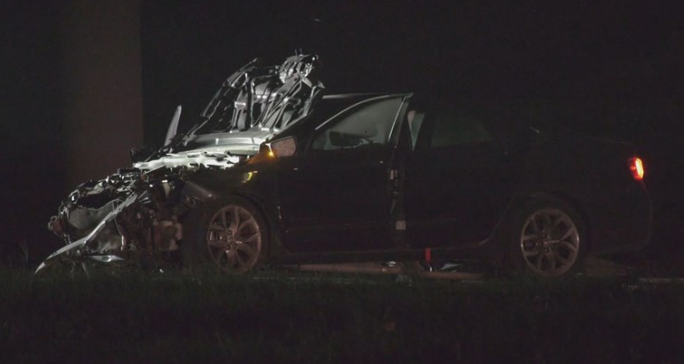 The driver of the Impala was taken to a hospital in College Station in unknown condition. DPS is working on identifying the four folks who were killed.